New to this series? I’m going through the KonMari method from The Life-Changing Magic of Tidying Up to clean my house out once and for all! You can catch up on the series right here. Today is finally the end of this giant project! I’m cleaning out sentimental items…and then I’ll be DONE! Ahhh, we’ve reached the end of the road. It’s the final category of the Konmari method organizing challenge and it feels good! Like I mentioned a couple of weeks ago, I still have a few things left to tackle in my tidying journey, but as a whole, I have made an incredible amount of progress and I’m shocked at how much I have managed to get rid of. We have donated bags upon bags of clutter and our house feels so much lighter! I think we’ll probably keep clearing things out slowly but surely over the next few months, but overall I would definitely call this project a success! Let’s chat about the last category – sentimental items. Of all the areas that needed organizing in my home, this was the area I was least concerned about. I know Kondo suggests doing this one last because it’s often the hardest for people, but that’s definitely not true for me. I’m not a hugely sentimental person and while there are some things I’m attached to, it’s never too much stuff to fit into a couple of small storage boxes. I have a box for Jackson and a box for Corey and myself. Jackson’s box is safely tucked away on the bookshelves in his room, and I keep ours under the bed in the guest room. They don’t take up a ton of room and they’re generally out of sight. I will admit, however, that my weakness when it comes to sentimental items is photographs. 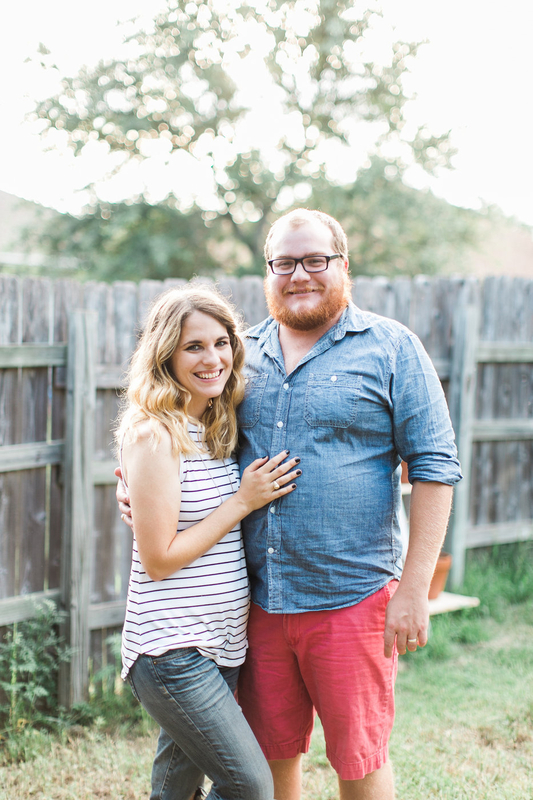 I can’t get enough of them, and I’m definitely a photo album hoarder. I have some scrapbooks that I made for Corey throughout our dating years, and then I have our yearly family scrapbooks plus a slightly absurd amount of Chatbooks. So, despite the fact that I’m pretty good at keeping my sentimental items to a minimum, I knew I had at least a little bit of cleaning and organizing to do. If nothing else, it was a really good way to take a walk down memory lane. – Take a picture! I know, I already admitted that photos are my weakness but they sure do take up a lot less space than keeping the actual item. I did this with a few different things that I’ve been holding onto for a long time, and having a photo of it is just as meaningful to me as having the real thing. This works best for things like souvenirs from events or shows, children’s art, and decor/toys that are meaningful but you don’t need anymore. – Upcycle when you can. If it’s a piece of furniture or decor that just isn’t quite your style, try to give it a makeover. If you have a ton of t-shirts or baby clothes that you can’t bear to get rid of, turn them into a quilt. Frame some special kids’ art that you just can’t throw away. We so often hide away things that we want to keep but don’t want to display when, really, we could just repurpose them and fall in love with them all over again! – Ask yourself why you want to keep it. Do you actually use it or look at it regularly? What purpose does the item serve if all it does is sit in a box tucked away somewhere? There are some things I keep that I don’t look at very often, but I try to keep those to a bare minimum – if it’s taking up space in my home, I want it to be either useful or on display! – Give it a new life. We have some things in our home that were handed down from family or that were sentimental to someone else in our lives but they aren’t actually things we use or are overly attached to. So, rather than keep them around just because they hold some sentimental value, we look for ways that we can give them a new life with someone else. Maybe you know of someone who could really use some baby clothes, or you have a piece of hand-me-down furniture that would go perfectly in a friend’s house. Sometimes it’s just as special to know that the things that mean a lot to you are getting good use, and it’s better to give it a new home and enjoy the knowledge that someone else is giving it some love. – Recognize that sometimes the memory is all you need. This last strategy was exactly what I needed in order to let go of quite a bit of the items I had in my boxes that I hadn’t looked at in forever. There were so many things in there that I had kept because they were tied to a special memory, but I finally recognized that I don’t really need those items in order to keep the memory. I poured over them one last time and let it all soak in, and then I let go of them. It felt good to clear my boxes out a bit more, and I sincerely doubt I’ll end up missing any of the things I purged. But Where Should I Store It? I think my final step here will be to find a pretty box to keep our sentimental stuff in – I think I’ll be more likely to pull it out every once in a while if it’s not just shoved in an old cardboard box! I’ve been doing some browsing – here are a few I’ve been eyeing. What do you think? I’m so excited to be at the end of this whole little challenge, but I know that this isn’t really the end for me. Corey and I are still planning on cleaning out our garage and our workshop this summer, and we’ll have to tackle the guest bedroom eventually – but as a whole, I’m incredibly proud of how much we were able to purge from our home and I think we made a pretty awesome amount of progress! I’m finding that I’m keeping our home cleaner and more organized on a day-to-day basis now that our home isn’t stuffed to the gills with stuff, and I’m more motivated than ever to keep clearing the excess out! 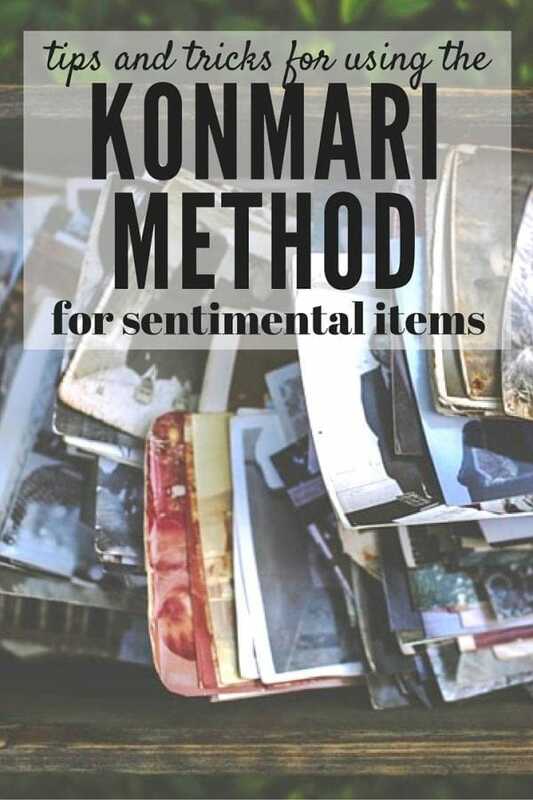 I’m curious, though – how are you with sentimental items? Do you like to hold on to a lot, or are you able to let go and just keep the memory? 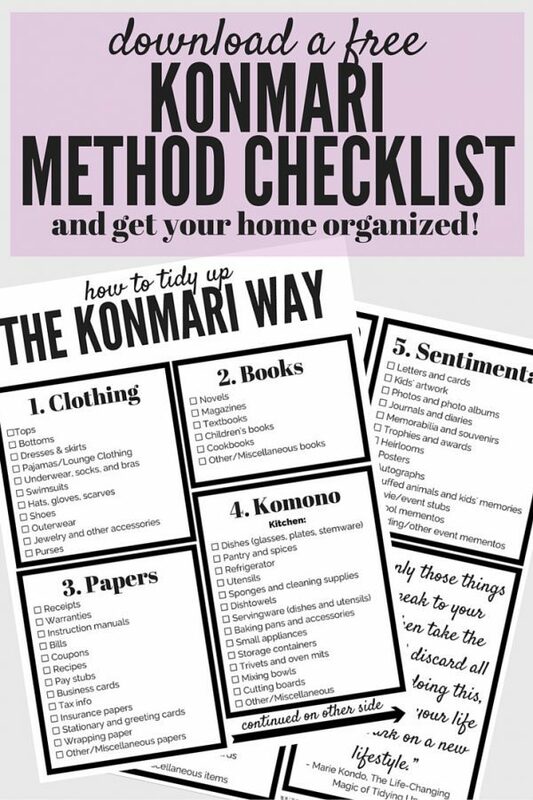 Want a Konmari Method Checklist to Help You Out? See below to find out how to download my FREE organizing eBook that will help you go through this entire process in just 30 days, along with a handy checklist to make sure you don’t miss a thing! Just sign up for my newsletter below and a link to download the ebook and checklist will be automatically sent to you when you confirm your subscription! I started my organizing journey by purchasing several plain white binders for my genealogy files. 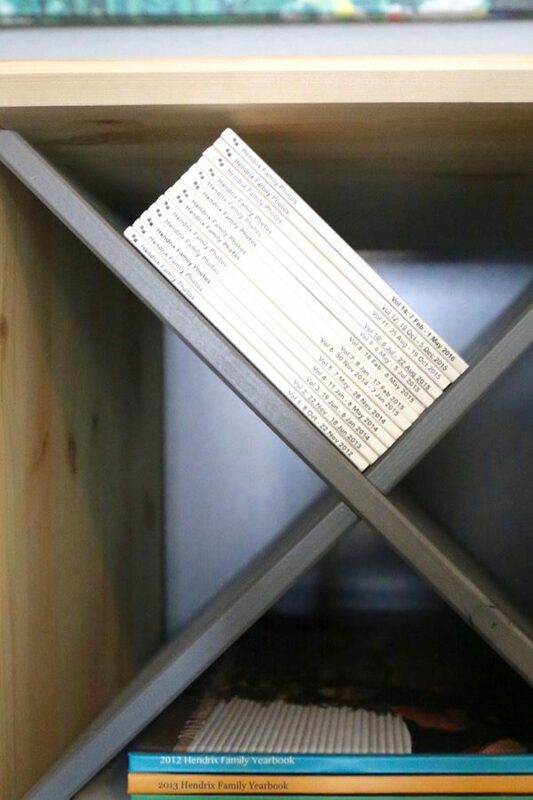 I had binders already but unlabeled, and different colors…This just looks clean and neat. Everything that I had not yet filed or recorded in Ancestry.com went into a file for that family. I will then record and store in the binder one family’s info at a time. For the 1,000’s of photos I have, (well _ I am 63, so yes we always got printed photos up until 6 or 7 years ago) I finally decided to organize them by decade then year. Some were easy, but for many it was surprisingly difficult. So I started making a list of major events in our family’s life. Marriages, births, when we moved, when/where we traveled, deaths in the family, even which years we held large Summer Parties.- I either had photos from these events, or was able to at least roughly date other photos by knowing certain dates. The whole family got involved in making the list – that part was actually fun as we each remembered certain events and dates. I then tossed lousy pictures and duplicates along the way, as well as some we just don’t care about now (no spark of joy!) I still want to go back and pare down what I kept, but that is a much easier job now. It all went into 4 plain white photo boxes. The 5th box I used for over-sized photos. The best part about getting through all the old photos is that it got me motivated to pull out another sentimental item – old letters! I started organizing the same way, but in the end, decided to group the letters by who sent them, and in date order. I read through a fair number of them – and thoroughly enjoyed it. And then reconnected with a couple of these old friends!!. Those letters from my brother who died in 1978 and by father and Grandmother who both died in 1998, were a bit hard to read but that was actually good too. These will go now into 2 clear storage boxes – I would use more photo boxes, but there are too many over-sized letters and cards to fit well. What really feels good, is that neither of these collections is likely to grow any further since the photos are all digital now and we all mostly email now – VERY few letters. I must admit though that I did not yet purge any of the old photo albums I made years ago. But I am motivated to get t done as well.A few are falling apart and look awful, so real motivation! This is going to be so hard for me! I am getting older and starting to have memory problems-ugh! Kept items are often how I bring cherished memories to the forefront. A picture might be okay, but touching the items and smelling them seems to be an important part of my memory process. I think my drawer of precious items will have to be dealt with after I am gone. If it’s important to you, don’t get rid of it! You should only be purging things that don’t bring you joy or aren’t used regularly. It sounds like it’s worth it to you to keep some of that around. QYou could take a picture of the trophy /medals. Then take the name plate off trophy &medal off ribbon & put them in a scrapbook. My kids didn’t want to take their trophy’s & I didn’t want to dust or store them. You could even make a photo book with the pictured & write a bit about it. Less clutter. I have a lot of old ribbons and awards I won when I was young that I have a hard time parting with. Some of them seem odd to display because I was so young. I showcase current running medals, but I have old dance, pageant, gymnastics, and science fair trophies, ribbons, and paper awards. I take them out every now and then. Is it fine to pare it down to a box to store? Or is there another recommended way to deal with these sort of objects? Any idea? If they make you happy and you have the space for them, definitely keep them! I personally like to keep that sort of thing in a box or something where I can pull it out to easily access when I want. 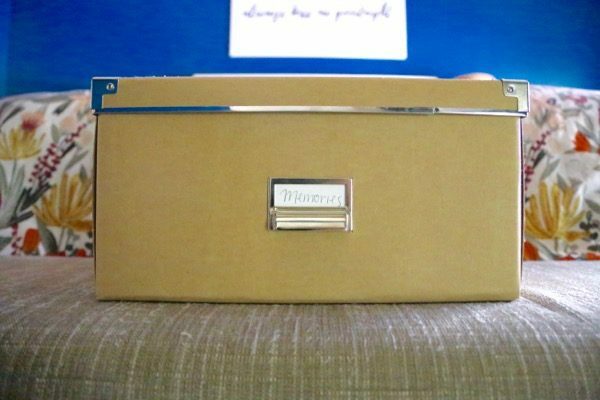 Amanda, these are great tips for decluttering sentimental items. I’m not even sure if this count’s as sentimental but, my kids papers are the biggest issue for me. I want to keep every scrap of paper they ever wrote or draw on, and everything they bring from school 😬. I think a lot of people struggle with that! So far I’ve done good with it but I know it’ll get harder as Jack gets older and starts bringing more home! 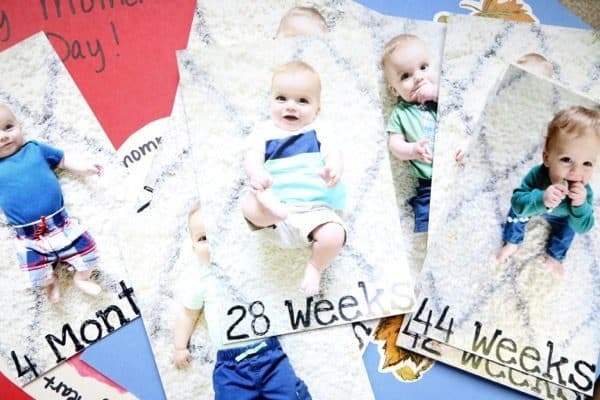 The sentimental items are the hardest to part with, but these are great tips for alternate uses for them! I’m working on scanning all our old family photos so we have them digitally. Until then though, I’m stuck storing mounds of photo albums! That’s a fantastic idea – I definitely need to do that too.